The Country UF brand is exclusively owned by United Farmers members, who operate at the heart of their local agricultural communities. The brand, which was first launched in 2008, was designed with farmers in mind and the goal of delivering premium quality practical products. With over 180 products in the range, we can offer United Farmers customers a variety of farming essentials from animal feeds and minerals through to our hugely popular electric fencing range. 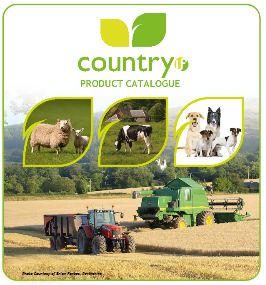 Please see the catalogue below for further information on the products available that can only be purchased through the 120 United Farmers retail stores across the UK. The catalogue can be opened by clicking on the picture above.